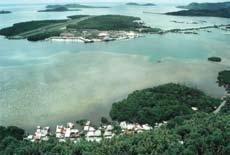 ﻿ Fun Easy English - Environment - Global warming - Climate change Impacts in the U.S. Islands. 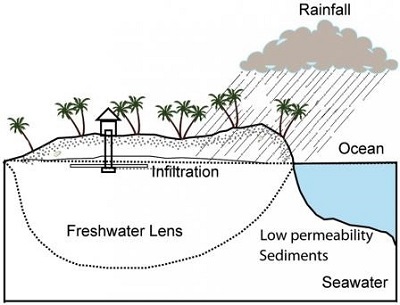 In contrast, some islands are expected to receive heavier downpours, which can cause flooding, overload water infrastructure systems, and result in sewage contamination and public health concerns. 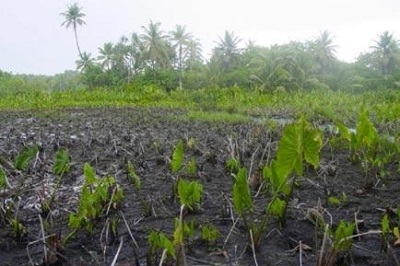 On islands where populations are growing or where infrastructure is old or poorly maintained, the impacts on water supplies may be especially severe. Climate change is also expected to negatively impact human health. The incidence of some diseases, such as dengue fever, are likely to increase in the Pacific Islands. In the Caribbean, diseases already present, including malaria and dengue and yellow fevers, could increase with warming temperatures. Higher sea levels, inundation, flooding, and shoreline and beach erosion are expected to affect critical transportation, energy, and water infrastructure, including airports, roads, ports, and wastewater systems. Because of their geographic remoteness, islands largely rely on imported food, fuel, and materials, making damage to airports or ports especially critical to the well-being of island residents. The impacts of sea level rise are already being felt. In Rincón, Puerto Rico, sea level rise is currently eroding the coastline at a rate of about three feet per year. Coral reefs serve as an important habitat for many fish and marine organisms. They also provide shoreline protection, valuable fisheries, and revenue through tourism. 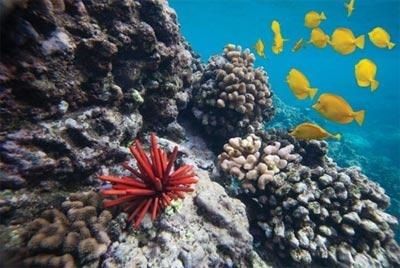 In Hawai’i, the goods and services provided by coral reefs are estimated to bring in approximately $385 million each year. In the Caribbean, income losses associated with degraded reefs are conservatively estimated to be several hundred million dollars each year. As climate change alters coral reefs, reduction in fish populations that inhabit these ecosystems is expected. Many island communities depend on local fisheries for survival and economic development. Changes in ocean temperatures can also damage fish habitats and cause shifts in the reproduction or migration behaviors of certain fish species, including tuna. These impacts may exacerbate existing stresses on fisheries, such as those from pollution and overfishing, and may ultimately lead to a decline in the abundance and health of fishery populations.